One of my favorite features is the ability to program recordings and change DVR settings in the Plex web app, which means full control over the DVR front and back end from my phone, tablet or computer. 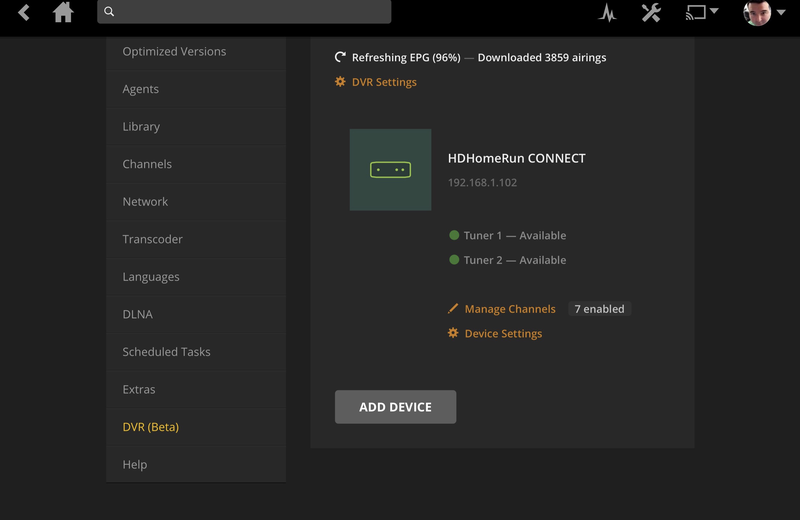 I don’t have to sit in my living room and program the DVR with a remote, I can do it from anywhere, especially since I have configured my Plex server to be accessible remotely. In the future, it would be nice if the DVR could be programmed from the various Plex apps. I’m sure this is on their product roadmap after the DVR feature goes 1.0. But being able to access it via Plex Web is good enough for now.